BARRETT – Clinton-Graceville-Beardsley battled a tough Underwood squad to a four-set win on Friday, earning a spot in the section 6A-South championship, 21-25, 25-22, 25-17, 25-23. The Rockets grinded out a win in the first set that set the tone for how the match would go, building up a seven-point lead and fending off a late rally by the Wolverines. In a bit of role reversal, CGB was the one who controlled the next three sets, fending off the Rockets comeback attempt each time. Mataiah Tuner filled the stat sheet for the Wolverines with nine kills, 10 digs, and four blocks, constantly causing disruption at the net for Underwood. Emma Botker led with 13 kills, Reanna Ward had 11, and Jessica Moberg added eight with eight digs. Lora Botker recorded 15 assists and Tylaina Issendorf added 10. The Wolverines are 24-4 and will face Brandon-Evansville on Tuesday from Barrett for the sub-section title. Emma Fitzgibbons had 12 kills and nine assists for the Rockets, Brooke Hovland added 10 kills as they end the year 17-12. 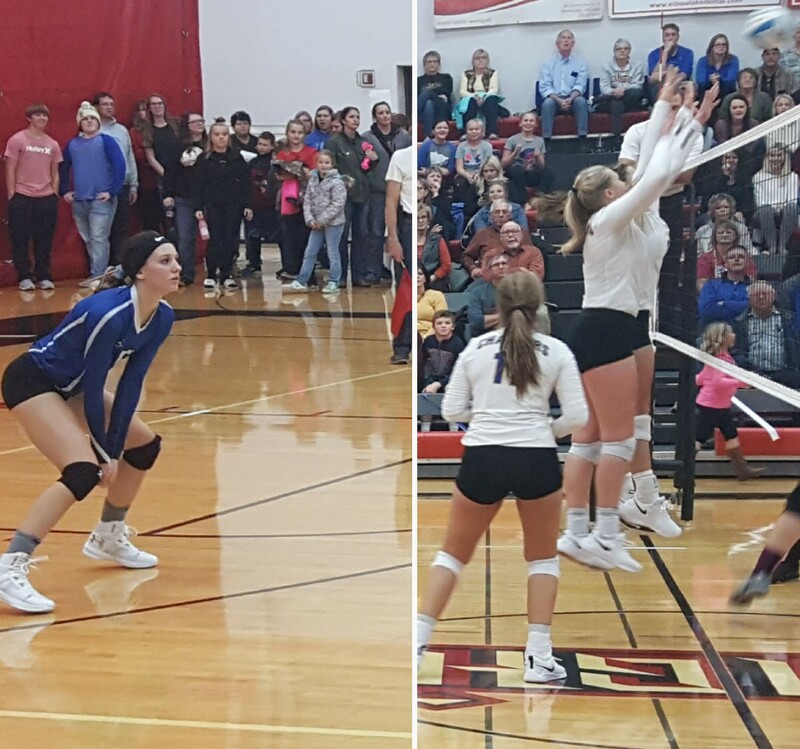 BARRETT – Brandon-Evansville fought back from two-sets down to upset Henning and grab a spot in the sub-section championship, 23-25, 19-25, 25-20, 27-25, 15-10. The Hornets have long been a thorn in the side of the Chargers, dominating their regular season and postseason matchups for years, and Friday night looked no different after two sets. The Chargers rallied late to tie the first set at 23, but the Hornets picked up the last two points, and carried that momentum to a convincing win in set two. The Chargers turned the tables in the third, then led for much of the fourth before the Hornets tied the set at 23, before putting the Chargers season on the brink by taking a 24-23 lead. The Chargers responded by taking four of the next five points to force a fifth set. It was there the Chargers put it all together, jumping out to a 6-1 lead, and fending off a late push by Henning for the win. Kailee Klimek had nine kills with eight digs, Mikenna Pattrin added 11 kills, Bailey Schaefer had nine, and Maidson Quinn tallied 25 assists. The Chargers are 20-6 and face the Wolverines for the sub-section title at 7:00 on Tuesday in Barrett. Henning got 26 kills from Abi Eckhoff and Grace Weller, but end the year with a mark of 21-8.